If you`d have had 1000 pieces of puzzle, 50 some minutes to put it together and get one solid picture, then I bet you would not do that. In similar way, you can`t be sure what lies behind Entheognosis album. This Australian band is an abstraction from reality. Their music stands up against any definitions of extreme genres. When I hear this album I wonder that Entheognosis is a kind of music direction you never heard before which, sometimes is a reason for calling it a new beginning for black or death metal as it might be with this record. Those tracks are schizo-paranoid ritualistic invocations of all what is beyond normal perception or meaningless. And what is senseless and rejected by the masses, it`s in this album. I should write that they have fairly normal death metal vocals, bass and drumming here but it`s guitars that deliver total chaos and music that is irreverence toward any other music. This is what makes these songs so special and kind original. They do not give you moments in music that pleases you or, are worth to remember, nothing like that - you get/feel what you hear. They are being unpredictable with their tracks. The songs have instrumental experimentation that sound-ally abusive and sonic-ally depraved. Those ideas may come from deepest corners of subconscious, never used before, like a void. But also and for sure, it comes from those Australians that proof that human brain is like a universe that surround us and by using it, you can write such unsettled and very hard to swallow album like Entheognosis. 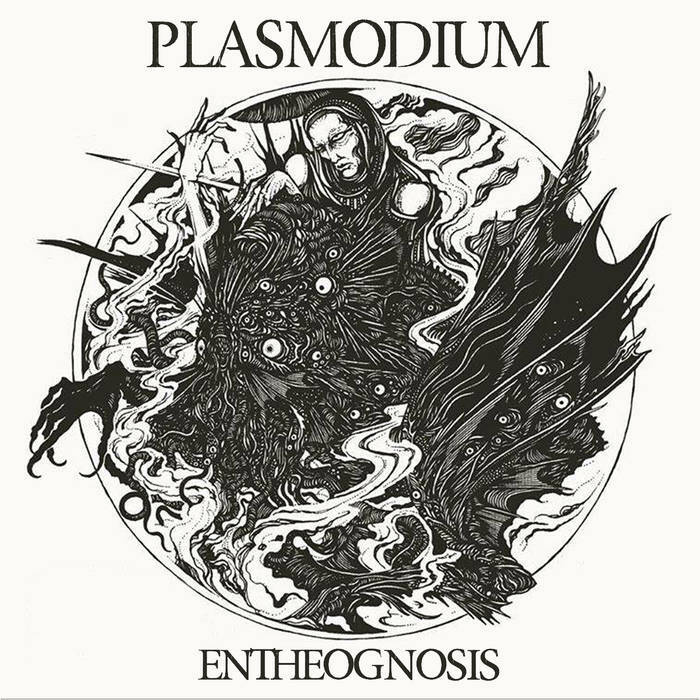 Love it or hate it but Plasmodium is a band that do it their own and they will be punished by that or worshipped by few.